Welcome to Sweet Boochie! Founded by me, Heather Schleif and named after our two daughter’s nicknames “Sweetie” and “Boochie” it is a place I hope to inspire beautiful party styling that celebrates children and the wonder they bring to our world. I believe that life should be viewed through a child’s eyes and we should remember the importance of celebrating life… whether it’s through seasonal holidays, religious celebrations, birthdays and everyday triumphs… these moments are memorable and gifts that should be cherished. 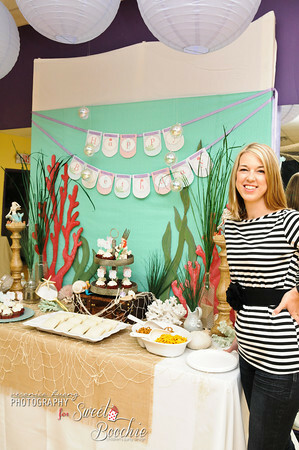 My passion for party design all began as a small child when my mother (a crafter and former kindergarten teacher) allowed ME to select a favorite theme for my birthday party, fill out my name in the invitations and help come up with some games for my friends and I to enjoy. My mother instilled in me that birthdays were special and a way to celebrate the importance of my life. My parties were always at home, intimate, and most important, highly creative and personal. So that is where the spark began..and hasn’t stopped since. As a former Madison Avenue advertising executive, I enjoyed years of being surrounded by many creative and talented people. I left the corporate world and moved to upstate NY for a better quality of life and was able to stay home to raise our two beautiful girls. Planning their many celebrations has bought me back to my original love of party design and entertaining. With my girls as my inspiration, I have decided to share my passion and launch Sweet Boochie.